Palletising goods and raw materials can often be a key element of a business to make transportation as easy and as cost effective as possible. A palletising system which is automated with minimal human interaction can not only save on labour costs but also improve health and safety, reducing the possibility of workplace accidents. 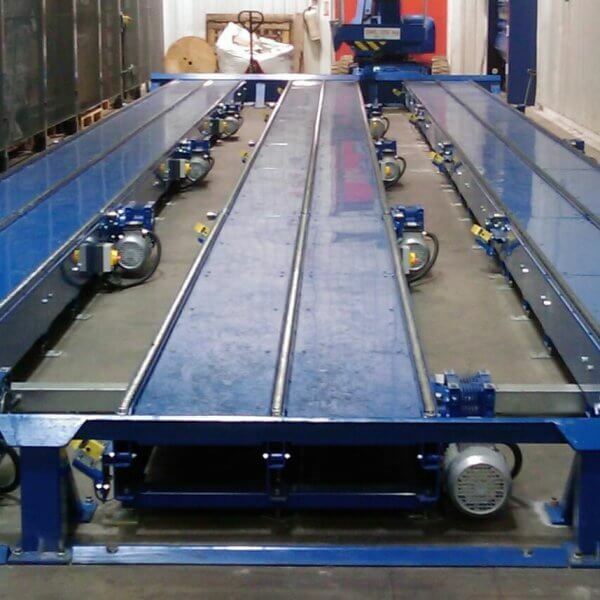 Andrews Automation can design, manufacture and install a palletising system to exacting specifications. Systems can be integrated into an existing system or built as part of a new system. The pallatising process can be completed in many different ways, robotic palletisation is currently one of the most popular methods. Additional elements such as pallet wrapping and pallet strapping can also be integrated to make it a truly turnkey solution. Andrews systems can be manufactured to work with any number of variables from heavy to fragile products, allowing us to offer a robust range of automation services using our robotic palletising systems. Another significant factor to a palletising system is the cost savings in terms of labour and efficiency, reducing issues with health and safety, providing a safer working environment with a reduced workforce can be attractive feature of a new palletising system. 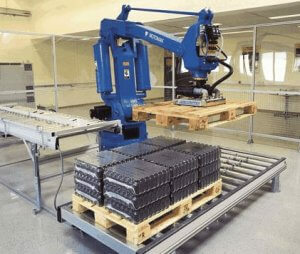 Is your business looking for robotic palletisers? Andrews Automation Ltd take on two Engineering Apprentices.